Roorkee, 9th October 2017: The Ministry of External Affairs, Govt. of India, and the Indian Institute of Technology Roorkee is organizing International Training programme on ‘Small Hydropower Development’ from 09th– 21stOct 2017. The joint programme was inaugurated by Prof Ajit K Chaturvedi, Director, IIT Roorkee, today, Oct 09, 2017. The training programme will lay emphasis on investigations and reports preparation for African countries under the India–Africa Forum Summit – III, 2017. About 23 participants have been nominated by their respective governments to participate in the course. The participants come from 13 countries namely Benin, Burundi, Chad, Ethiopia, Kenya, Madagascar, Malawi, Nigeria, Rwanda, Sudan, Tanzania, Zambia and Zanzibar. 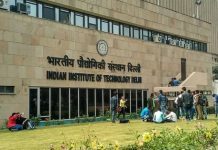 Participants will be trained by experts from Alternate Hydro Energy Centre at the Institute and other departments of IIT Roorkee. The training programme will cover investigations, community participation, and help them make report based on the same. The country representatives will also exchange details on rural electrification and small hydropower projects including the status of projects, policy, implementation efforts, potential of different sources for electricity etc. Participants will also be visiting a small hydro power station in Uttarakhand and Himachal Pradesh during the course.